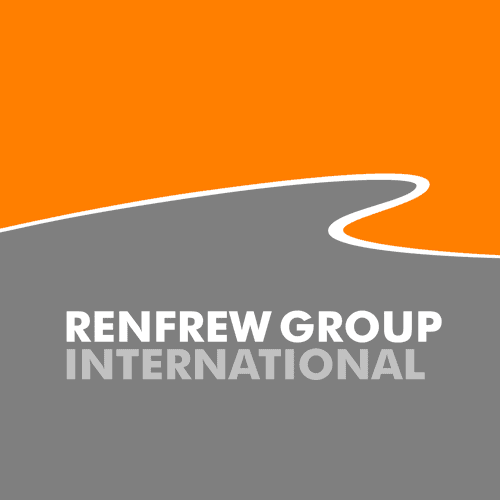 Many countries throughout the world have the unfortunate combination of climatic and geological conditions that frequently result in earthquake, volcanic eruption, typhoons and tsunami, all requiring a high standard of rescue and relief operations, which in turn place demands on the equipment used by the agencies involved. 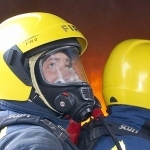 Used extensively by emergency services and relief agencies throughout the world, the Cromwell ER1 rescue helmet with integral goggle designed by Renfrew Group International, combines the highest standard of protection, with comfort when worn for extended periods, and adaptability for a wide range of situations; ranging for road traffic accidents, to building collapse, to natural disasters. Following additional major sales in 2013, Helmet Integrated Systems has increased its production capacity to meet increasing demand, and is working closely with their international distribution network to expand the promotion and sale of the rescue helmet to other sectors. 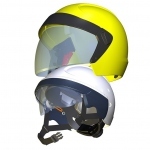 Manufactured from heat resistant, high impact thermoplastic, the rescue helmet is fitted with an integral ‘flip up’ polycarbonate optically correct eye protector, adjustable chin strap and headband. The major features of the lightweight (800 grams) helmet, include comprehensive comfort adjustment options, and attachment features to accommodate other items of protective equipment, such as respirators and hearing protection.